Light version of amazing three colour ladies wedding ring set with diamonds. 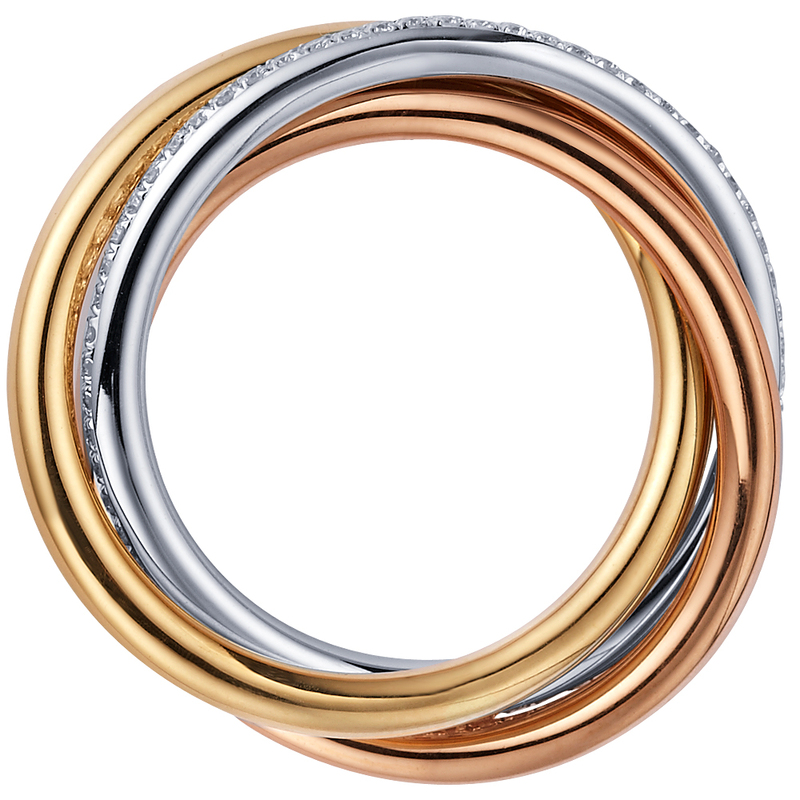 This ring consist of three rings in rose, yellow and white gold linked together. The significance of this style of ring in Russian culture comes from the Christian Orthodox in the 19th century, it was meant as a representation of the Holy Trinity. 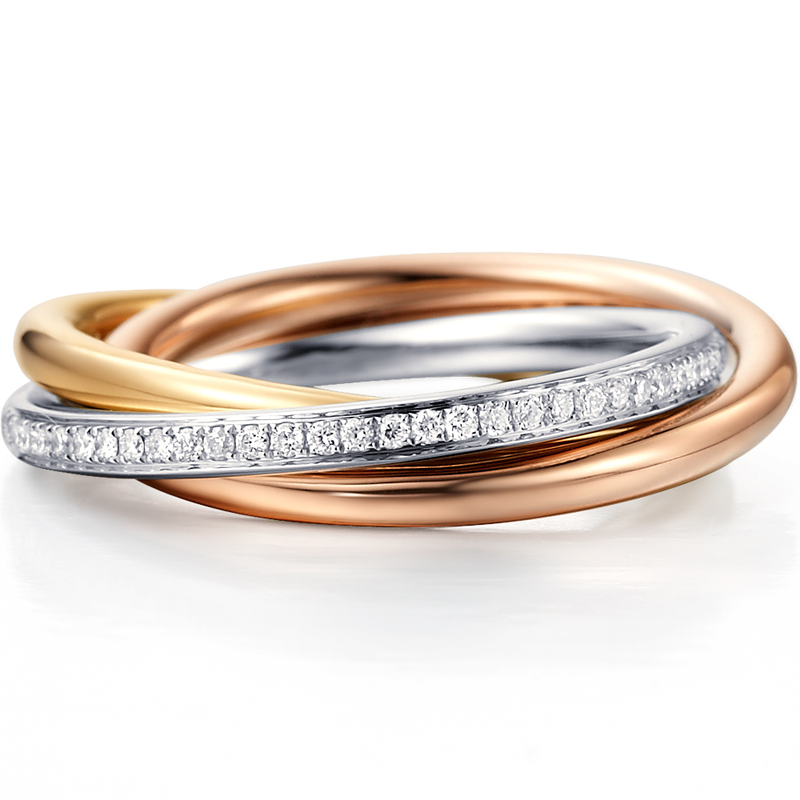 La Vivion's design of this traditional wedding ring is quite unique. Even for a lighter version we used the Comfort Fit technology and very specific proportions of width and height of each ring for absolutely gorgeous look and your fantastic comfort.